Using Reputation.com’s Reputation Score is a powerful way to identify strengths and weaknesses in your operations and transform your brand. Drawing on quantitative and qualitative insights — from star ratings to online reviews to social media posts —companies are using the information within their Reputation Scores to create stronger customer experiences, both online and in person. Here are two real reputation score success stories (plus key takeaways). Bernstein Management Co. owns and manages 3.8 million square feet of commercial space and more than 6,000 properties in the Washington, D.C. area. The company was recently looking to boost its online reputation, especially its review volume, while reducing manual tasks through automation. The team at Bernstein Management also wanted to enhance communication with tenants via survey tools, and use the insights to improve operations locally. Bernstein Management had been using point systems to request, track and respond to online reviews, but the process was tedious and limited to reviews on one site, not high-visibility locations such as Facebook and Google. The multiple point systems were not integrated. In less than a month, the company adopted the Reputation.com platform and began improving business listings and online reviews. Later, it added Surveys. A Bernstein Management team member uses the platform to respond to online reviews and alert property managers to necessary maintenance or repair issues. Automated triggers send out survey requests, and a comprehensive dashboard provides real-time actionable insights. Since implementing the Reputation.com platform, Bernstein Management has won multiple awards for its online reputation work and has increased its review volume by 50%. The company’s reputation score has increased by 250%, from 185 to 463, and the company has also reduced the cost of managing its online reputation by 40%. Download the Bernstein Management case study to discover more about online reputation management. A London-based dental practice tripled its online reviews in three months. Prais Dental, a London-based cosmetic and general dentistry practice, knew its patients were pleased with their outcomes. Unfortunately, patients weren’t sharing those experiences online. Review Requesting: Integrating Reputation.com’s platform with the practice management software allowed for automated requests for online patient reviews on top websites. Review Monitoring: A mobile app allows the lead surgeon to monitor online reviews with alerts and dashboards. The practice can thank patients quickly and address any issues promptly. Onsite Feedback: A tablet in the waiting room enables patients to leave reviews easily and quickly, once their appointments conclude. Emails are sent to ask those patients to share the reviews on major sites such as Google, Facebook and the National Health Service. Review Promotion: Reviews were automatically posted on the practice’s testimonial page and showcased top reviews using a Reputation.com widget. The impact of these strategies was immediate. 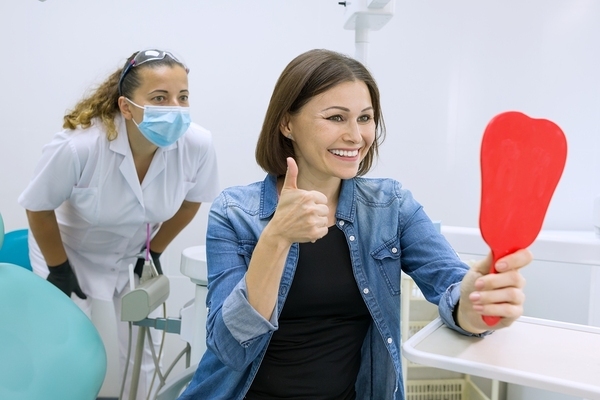 Within five months, Prais Dental’s Reputation Score had grown by 400%, from 180 to 798, which is a best-in-class rating. The practice also nearly tripled the number of reviews it had, resulting in improved search engine results. To discover how Prais Dental achieved rapid reputation score improvements, download the case study. Reputation score is a powerful way to measure your online reputation using multiple factors. Download our free guide to Getting Started with Online Reputation Management to discover how Reputation.com can deliver better results, more customers or patients, and more revenue or your business.